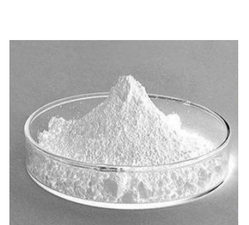 Leading Wholesale Trader of lumefantrine pharmaceutical chemical and glycerophosphoric acid from Ahmedabad. Lumefantrine is an antimalarial agent used to treat acute uncomplicated malaria. It is administered in combination with for improved efficacy. This combination therapy exerts its effects against the erythrocytic stages of Plasmodium spp. and may be used to treat infections caused by P. falciparum and unidentified Plasmodium species, including infections acquired in chloroquine-resistant areas. Clear faint yellow syruppy liquid characteristic odour, Taste Acid.